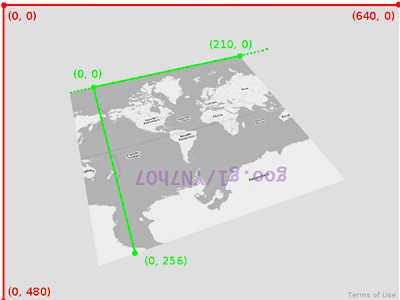 During the past two weeks, 300 of our most loyal developers discovered a registration code to Google I/O 2014, upon completion of a space adventure to [37.7829° N, 122.4033° W, Earth], aka the Moscone Center West. Google Developers home: the starting point for a diverse set of Google APIs from Cloud, to Games, to Google Wallet. This comprehensive site includes blogs, API documentation, developer tools, and information about Google developer programs, groups, training, and open-source projects. Android and Google Developers YouTube Channels: central resource for developers around the world, of all experience levels, interested in learning more about the Google Developer ecosystem. It includes tutorial videos, high level overviews, and the latest news. Udacity videos: Google Developers has teamed up with Udacity to provide accessible, engaging, and highly effective online education, including cutting-edge classes about Mobile Web Development and HTML5 Game Development. The lucky Captains who found the leads first, were guided by a robot co-pilot called Icarus Odessa (I.O. initials, get it?!) on a spaced-themed text adventure game, filled with starships, asteroids, and a few sci-fi references. We were seriously impressed by the clever strategies you used to discover our clues, and thrilled to see the community interact throughout the quest. 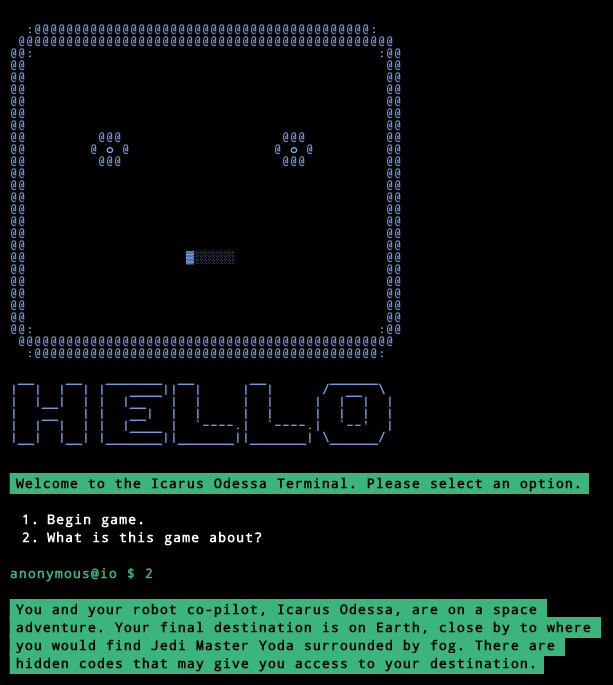 If you’re curious to meet Icarus, have some fun playing the adventure game here. Our goal was to reward you - our developer power users - with the opportunity to experience the magic of I/O first hand. We know that not everyone will be able to attend in person, but you can still join us virtually: visit google.com/io to watch the live stream, download the mobile app, and learn more about Extended I/O events happening near you. Save more now with Calendar API! Today we are enabling several ways to save your Calendar API quota, network bandwidth, and, most importantly, batteries of your users' phones. There is nothing more important than making sure our users and their information stay safe online. Doing that means providing security features at the user-level like 2-Step Verification and recovery options, and also involves a lot of work behind the scenes, both at Google and with developers like you. We've already implemented developer tools including Google Sign-in and support for OAuth 2.0 in Google APIs and IMAP, SMTP and XMPP, and we're always looking to raise the bar. Antonio Fuentes is a Product Manager working on features to keep Google users safe. He has also worked on tools for third party developers looking to build on Google infrastructure. Mapping a dream as it navigates through your brain using G+APIs. Exploring metamorphosis through storytelling in the form of a poetic adventure with Chrome Apps and Compute API. Travelling through a playful giant map that explores fantasy and reality on a huge scale using Map API. Creating music through the touch of your finger on a simple piece of wood using Android. 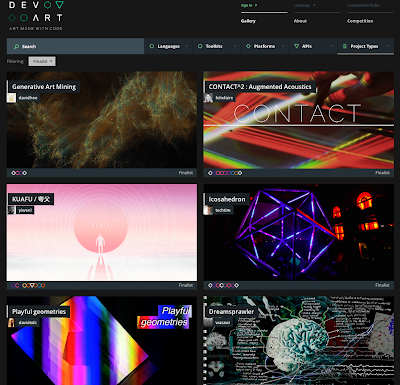 These are just a sample of the hundreds of projects we received after inviting the developer community to express themselves creatively as part of DevArt. We were looking for a unique idea which mixes art and code and pushes the boundaries, to be featured in the Barbican's Digital Revolution exhibition, opening this summer in London and from there touring the rest of the world. And the winner is … a duo Cyril Diagne & Béatrice Lartigue from France. Cyril and Beatrice’s project, Les métamorphoses de Mr. Kalia, is an interactive poetic adventure around the theme of metamorphosis in the human body. It invites gallery visitors to personify Mr. Kalia as he goes through many surrealistic changes [video] [project page on DevArt site]. The piece conveys feelings related to change, evolution and adaptation. Mr. Kalia is brought to life through the use of a skeleton tracking technology, and uses Chrome apps and Google Compute Engine. Cyril and Béatrice’s installation will sit alongside three of the world’s finest interactive artists who are also creating installations for DevArt: Karsten Schmidt, Zach Lieberman, and the duo Varvara Guljajeva and Mar Canet. The Digital Revolution Exhibition will be opening in London on 3 July with tickets available online here. We were overwhelmed by all of the amazing ideas we saw, a testament to the creativity that’s possible with code. Watch this space - DevArt at the Digital Revolution exhibition at the Barbican opens in July! Are you an iOS developer interested in adding a map to your application? The instructional experts at Code School set out to create a course introducing the Google Maps SDK for iOS to developers like you — and they delivered! Exploring Google Maps for iOS is a free course covering everything from adding a simple map, to using geocoding and directions, to incorporating Street View in iOS. You'll end up with a working sample application and gain the knowledge you need to build your own amazing Google Maps-based apps. Learn from videos, sample code, and Xcode-based coding challenges. Check out the introduction video below, and then head over to Code School to get started with their interactive course! You can also read our official developer documentation and reference docs at https://developers.google.com/maps/documentation/ios/. Whether you're a developer who's interested in the latest developments in the Googleverse or someone who wants to build the next billion dollar app, Google I/O is the ticket for you. It’s your opportunity to speak directly with us about what’s going on and where apps are headed for 2014. At past I/Os, we skydived onto the Moscone Center--broadcasting live using Google Glass and Google+, launched hardware--like the original Nexus 7 and the first commercial Chromebooks, and showed you how you can use Google services to take your apps to the next level. More time to talk code, wireframes, and business plans with real humans: If you're coming in person, the schedule will give you more time to interact in the Sandbox, where partners will be on hand to demo apps built on the best of Google and open source, and where you can interact with Googlers 1:1 and in small groups. Come armed with your app and get ready for direct feedback on your app design, code, and distribution plan. Go deeper with content: A streamlined session schedule will be published in May featuring talks that will inspire ideas for your next app, while giving you the tools to build it. 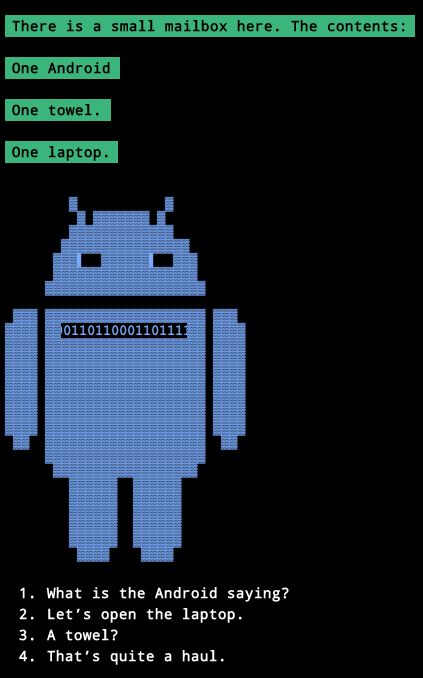 We'll also be providing self-paced Code Labs that you can dive into while at I/O. We’re really looking forward to this year’s event and hope you are too. Don't forget that the registration window will remain open from 4pm PDT today (April 15) until April 18 at 2:00 PM PDT. Applicants will be selected at random after the window closes, and we’ll let you know your status on or around April 21. We look forward to seeing you in June, whether you’re joining us at Moscone, at an I/O Extended event, or online at I/O Live. Here’s our end goal. Click through to interact with the live version. Data provided by the Census Bureau Data API but is not endorsed or certified by the Census Bureau. 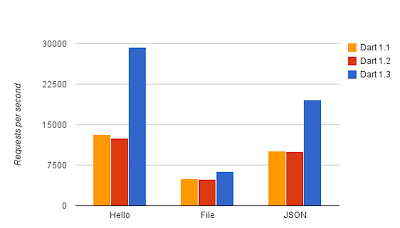 The data for the chart above was collected on a Ubuntu 12.04.4 LTS machine with 8GB RAM and a Intel(R) Core(TM) i5-2400 CPU, running a single-isolate server on Dart VM version 1.1.3, 1.2.0 and 1.3.0-dev.7.5. The source for the benchmarks is available. Anders Johnsen is a software engineer on the Chrome team, working in the Aarhus, Denmark office. He helps Dart run in the cloud.